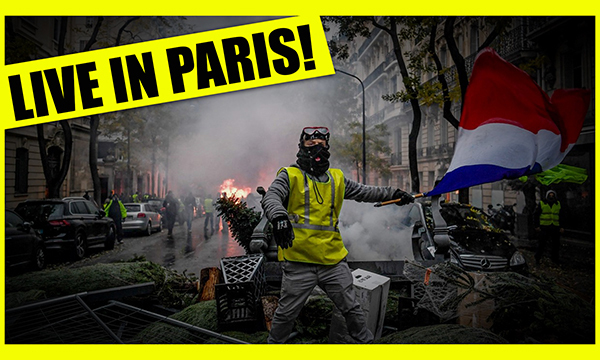 Luke is on the ground in Paris arm and arm with thousands of Yellow Vest protestors as tear gas and rubber bullets are fired on the streets of France! More to come! PreviousTotal Media Blackout! Paris Is Far Worse Than They Will Tell You! NextGas EVERYWHERE! From The Streets Of Paris!